In this skillful analysis, Leslie Peirce delves into the life of a sixteenth-century Middle Eastern community, bringing to light the ways that women and men used their local law court to solve personal, family, and community problems. 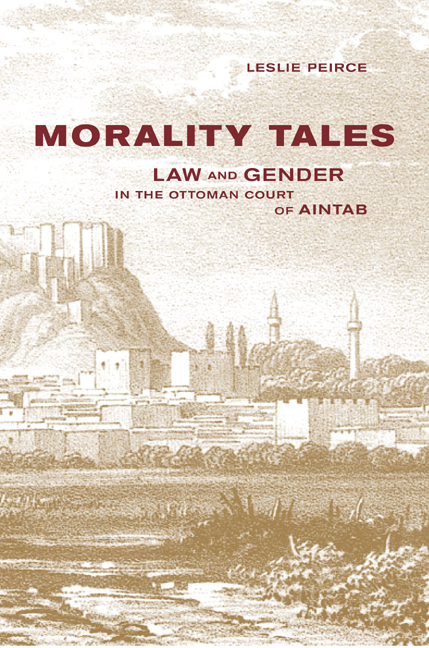 Examining one year's proceedings of the court of Aintab, an Anatolian city that had recently been conquered by the Ottoman sultanate, Peirce argues that local residents responded to new opportunities and new constraints by negotiating flexible legal practices. Their actions and the different compromises they reached in court influenced how society viewed gender and also created a dialogue with the ruling regime over mutual rights and obligations. Locating its discussion of gender and legal issues in the context of the changing administrative practices and shifting power relations of the period, Morality Tales argues that it was only in local interpretation that legal rules acquired vitality and meaning. Leslie Peirce is Professor of History and Near Eastern Studies at the University of California, Berkeley, and author of The Imperial Harem: Women and Sovereignty in the Ottoman Empire (1993). Albert Hourani Book Award, Middle East Studies Association of North America, Inc.